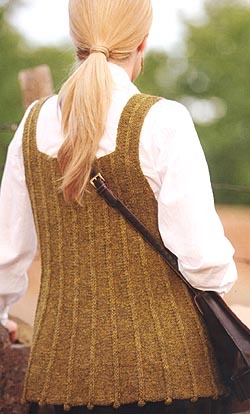 This vest is knit using Jamieson's Double Knitting 100% wool yarn and is from Simply Shetland 3. The design is by Carol Lapin and is classified as a "Beginner" skill level. The yarn kits are detailed below. 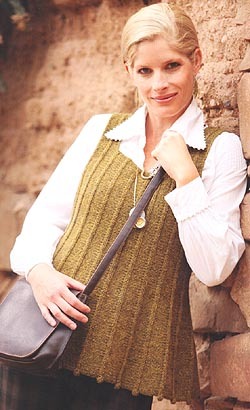 The pattern is not included in the kit but is in the Simply Shetland 3 book (pictured at right) which can be ordered separately. This book includes full instructions for this as well as 19 other designs. To order simply specify it as a separate line item on your order form.